It is a sad indictment of our society that even in the year 2016, ewoks still have NO legal rights. In fact, ewoks aren’t even mentioned in any law in the Western world. They may as well be fictional aliens from a science fiction movie. It’s time to stand up for the rights of ewoks. There are now NO ewoks in the wild anywhere on earth. 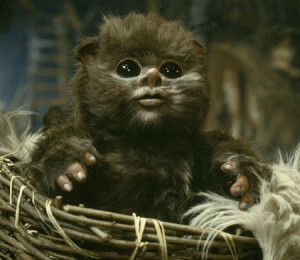 We demand our governments acknowledge the rights of ewoks. These creatures are sentient, intelligent, emotional beings that serve a vital role in the forest moon ecosystem. It would be both a travesty and a sad reflection of the so-called civilised world if we continue treating ewoks as if they don’t even exist. Look at this little baby ewok. Look into its eyes. Do you want to lie on your deathbed one day knowing you did nothing to make its little fluffy life better? No you don’t. Let’s do everything we can to give ewoks the dignity, freedom, and liberty they deserve.